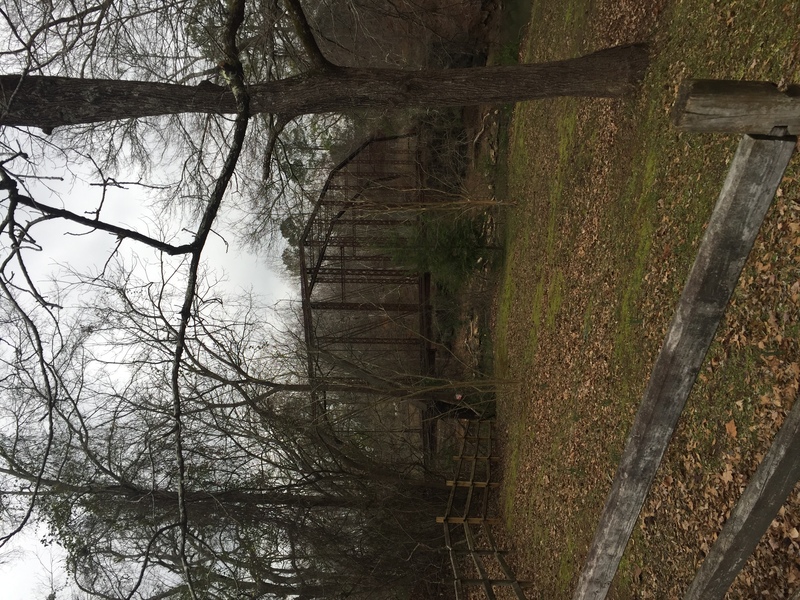 The old Hardin Bridge is still there, though a new one was built around 2010-2011 crossing the Etowah River just next to it. 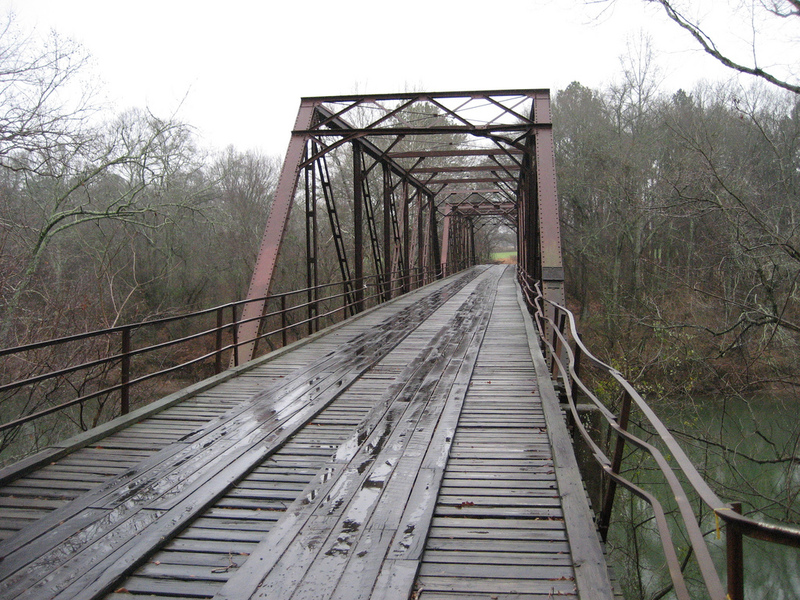 It is said that a couple accidentally drove off the old bridge many decades ago, and their spirits still haunt the area. Voices and screams are heard, and ghostly headlights are seen, only to disappear inexplicably. Your version is not the story I was told by an older gentleman that lived in a house very close to the bridge when the incident he related to me took place. In 1984, my 1st year of college I was taking a geology course from a rather eccentric lady by the name of Dr. Lewis Lipps. She took the class on a field trip in the Emerson area. After visiting several rock formations that include fossils we stopped at the Hardin bridge, which looked very similar to the picture posted in the comments section. As we exited the van, an older gentleman walked from his residence a few hundred yards away. Dr. Lips introduced him (I cannot recall his name), then she asked him to relate the story of the green lady. He told us; In 1954 a 16 year old girl was sunning in her front yard located in a neighborhood behind Roy’s Little Garden in nearby Rome. The girl’s mother left to run some errands for a while. When she returned her daughter was missing, she asked several neighbour’s if they has seen her, one replied they had seen her speaking to a man in a car. Eventually the mother called the police and reported her daughter missing, giving them a description of the car the neighbor had seen. The police put out an alert for the girl and the car. Sometime later a car in the Emerson area was stopped for speeding, the officer realized it met the description of the one associated with the missing girl. In the trunk of the car a bloody blanket was found, the driver was questioned but refused to answer. Due to the close proximity of Hardin Bridge that is where the search for a body started. The older gentleman stated he helped search the riverbank that day and the following part of the story he knew to be fact. The sheriff called in a dive team from Atlanta but they only had a couple of hours of daylight left by the time they got there. As twilight set in the search was called off for the day, a group of searches were crossing the bridge after searching the opposite bank. (The gentleman storyteller called this individuals name but I cannot recall it) He said Mr ????? Was coming back across a little behind the rest of the group, he was watching his steps since the gaps in the boards make you want to step extra careful. Mr. ???? Told us later that he saw a flash of light from the water between the planks, he walked to the side of the bridge and could still see a faint greenish glow from below the water. Mr. ???? Called to one of the divers not yet out of the water saying he had seen something and pointed to the spot. The diver swam over and checked and found the body of the young girl tied to several concrete blocks. The gentleman storyteller said he had never seen the green glow but many people he knew had and some of them were trustworthy. I asked my mother if she recalled the disappearance of a girl from Roy’s Little Garden ( my mom would have been in her early 20s then) she said she did. Years later after I married I asked my mother in law, she knew the girls mother. The story you are talking about is basically true, but wrong bridge. The one the girl got thrown off was Milam Bridge, in Euharlee, Ga. Right at Plant Bowen. This Bridge is still standing, but abandoned. The story about then little girl is close but not quite correct. She lived in and was kidnapped in Rome, it was 1955, she was 14, he never made it to Emerson, they didn’t use divers in 55 they used what amounted to large fish hooks. She was in the water about 3 days before he finally confessed to where she should be, it was a truck, not a car and it wasn’t this bridge, it’s the one closer to the city of Euharlee. 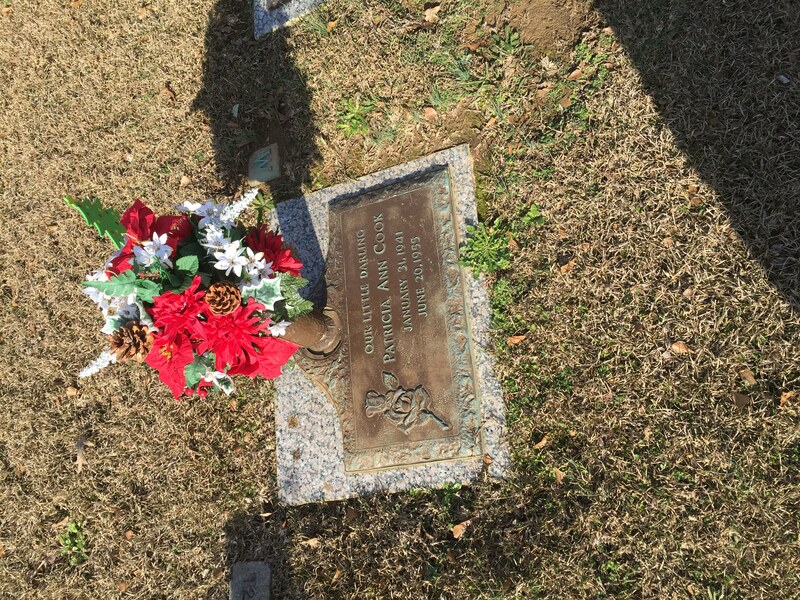 Her name was Patricia Ann Cook, his name was Willie Grady Cochran. I remember a lot of stories about this . I lived in the near by town of Kingston Ga. the people who lived in the house across the Bridge were The Grants and were close friends of my families. I was raised with their kids. But i have been on that Bridge at night playing and walking and never saw any ghost. But they have been a lot of things happen on that old Bridge. Such as Murders, wrecks and Suicides .. so all in all they is no telling what spirits may lurk that area .